Stock Picks Jubilant Foodworks - A sinking ship? 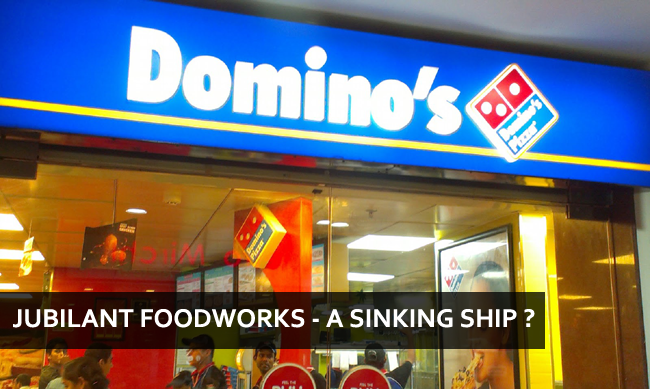 Jubilant Foodworks - A sinking ship? On the road the find multibaggers, we become investors with a long-only bias. Buy and hold is a strategy we master and when the market corrects, we can do nothing but sit and watch the drawdowns (and lose our sleep over it). There are ways to make money on both sides (Bull and Bear), you don’t even have to swap your investor tag for a trader tag. Just like you hold shares in quality companies on the long side, why not short stocks of companies that could go bust or see a sharp correction in their valuations? You can decide that you will short stocks upto 25% to 30% of your long term portfolio and that will also reduce your drawdowns when times get gloomy. A long and short fund does exactly this. In India, retail investors don’t really have any avenues to short stocks in the cash market – So, you can only short stocks in the F&O segment. I wouldn’t advice you to be a long-short portfolio unless you have a portfolio of Rs 50 Lakhs plus! Now lets talk of a stock that could tumble down in the times to come. The Company & its subsidiary operates Domino’s Pizza brand with the exclusive rights for India, Nepal, Bangladesh and Sri Lanka. The Company is India’s largest and fastest growing food service company, with a of 1,127 Domino’s Pizza restaurants across 265 cities (as on May 29, 2017). Dunkin donuts is another brand they have in their pockets. 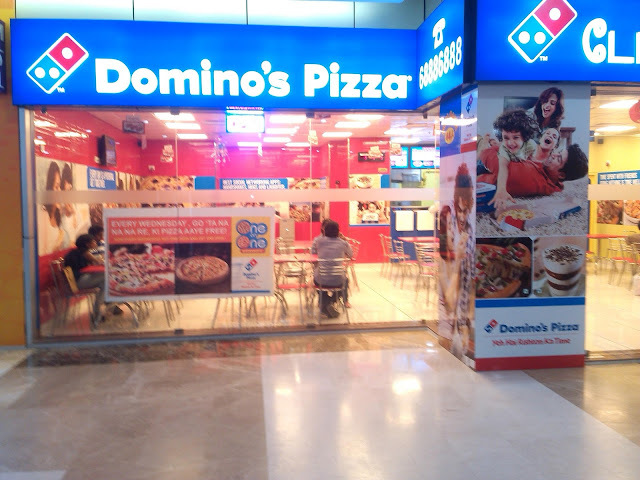 Conclusion: Jubilant Foodworks has exclusive rights to operate Domino’s Pizza in India and some neighbouring countries. Jubilant is continuing to grow, but not at a spectacular rate. The growth rate has fallen to single digits (Maybe people are eating less pizzas or rather less pizzas at Dominos). What does the P&L report tell us? The EBIDTA margins are drifting lower (At an alarming pace). Conclusion: Slowing growth rate and lower EBIDTA margins. Domino’s enjoys a rare and investor-admired operational advantage – Negative working capital, Domino’s receives payments early and pays off its creditors late. Basically, it has negative working capital requirement. Infact, Domino’s effectively is able to convert sales to cash in 1-2 days and it has to pay its creditors once in 48 days months. However, the current ratio raises some red flags. The current ratio as per the FY17 balance sheet is 0.57. This means that the current assets of the firm are not enough to cover the short term liabilities of the company. If the company sells off it’s current investments and receives all its trade receivables and tries to pay off its trade payables, the company will fall short of cash! Jubilant Foodworks has aggressively added new stores in the last few years. Online and delivery orders are also routed through the nearest store, thus stores are the most crucial part of the company’s operations. We look at some important metrics to evaluate their stores efficiency. The EBIT per store has come down drastically over time and the the same store growth has slipped into negative territory. This is a clear sign of declining efficiency in operations. The stores are earning lesses than previous years and the overall revenue is going up only on the back of more number of stores. So Jubilant has to keep increasing the number of stores to grow revenues. There is growing competition from local players and Jubilant Foodworks will be forced to cut down on pricing and come out with cheaper options to meet the Indian consumer’s demands. This means that pressure on margins will continue for the forseeable future. What lies ahead? Also, without increasing the number of stores, Domino’s won’t see any growth at all! So it is a vicious cycle that the company is stuck in. The share price has defied fundamentals to a great extent. Though it has come down significantly from its peak of Rs 1,931 in July ’15, it is still trading on a standalone PE of 90 and a price-to-book ratio of 8.51. The return ratios are on a steady decline and thus it is better for existing investors to exit from the stock. Disclaimer: Please contact your financial advisor before making an investment decision based on this report.